The Republican-run Legislature is poised to pass and Gov. Scott Walker has promised to sign a fast-tracked bill that would turn Wisconsin into a right-to-work state. Although right to work wasn’t an issue in last fall’s elections, state Republicans are arguing that it’s critical to spur Wisconsin’s economic growth even though studies have shown that right-to-work policies actually depress a state’s economy. Also the Republican legislators won’t admit that the state, under Walker’s right-wing economic policies, has failed to keep up with the pace of economic growth of our neighboring Midwestern states and the country’s recovery from the Great Recession. Furthermore the governor’s failed economic strategy didn’t deliver on his 2010 campaign promise to create 250,000 private-sector jobs in his first term. 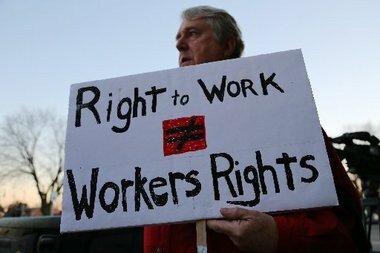 So, where did the right-to-work bill come from? The answer is the “vast right-wing network” that supports Walker and his allied legislators—pro-business interests such as the Wisconsin Manufacturers and Commerce (WMC), the governor’s billionaire benefactors, the uber-conservative Bradley Foundation and, last but not least, the American Legislative Exchange Council (ALEC), the pro-corporate “bill-mill” outfit that churns out anti-worker, anti-consumer and anti-environment model legislation. The battle over the right-to-work bill is anything but a fair fight. Thanks to the Republican-created legislative map, the GOP vastly outnumbers Democrats in both houses of the state Legislature. The Senate currently includes 18 Republicans and 14 Democrats (one seat is empty) while Assembly Republicans have a 63-36 seat advantage. Political contributions are similarly lopsided. According to number crunching from the nonpartisan Wisconsin Democracy Campaign (WDC), since the beginning of 2013, Republican legislators took $26 in contributions from business interests to every dollar donated by labor to them. In total, the pro-business groups and individuals contributed $2.8 million to Republican legislators between 2013 and July 2014, WDC found. Walker’s haul shows a similar dependence on right-to-work supporters. WDC found that just two groups—the Wisconsin Manufacturers and Commerce and the Koch brothers’ Americans for Prosperity—spent $5.5 million on his re-election. And while GOP legislators showed a 26 to 1 advantage in getting money from conservative business interests relative to labor, Walker accepted $302 from business interests for every dollar he received from labor. 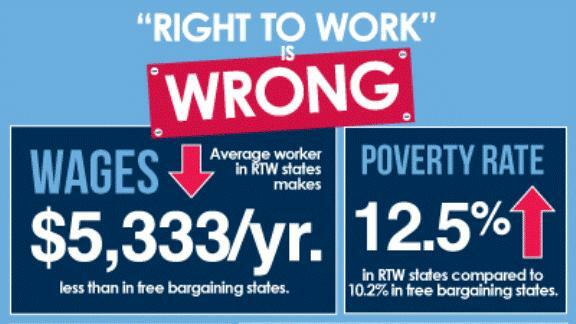 Right to work wasn’t really on the public’s radar back in early 2011, when Walker first took office. 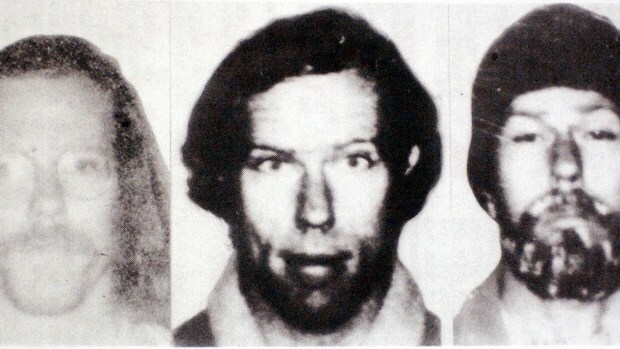 The governor famously “dropped the bomb” on public sector unions in what would become Act 10, which stripped them of their right to bargain over most workplace matters. 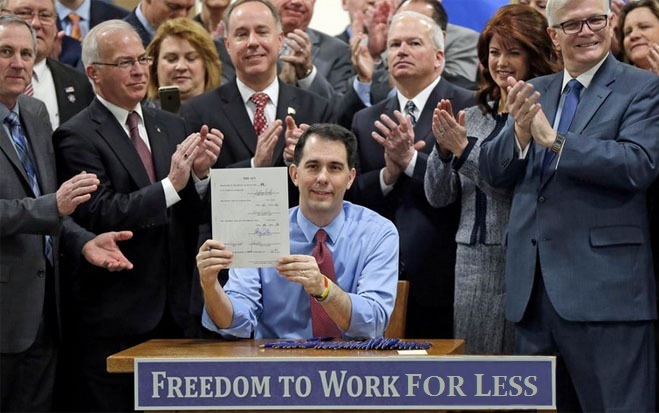 It seems that Walker’s now making good on that four-year-old promise to Hendricks with the right-to-work bill. 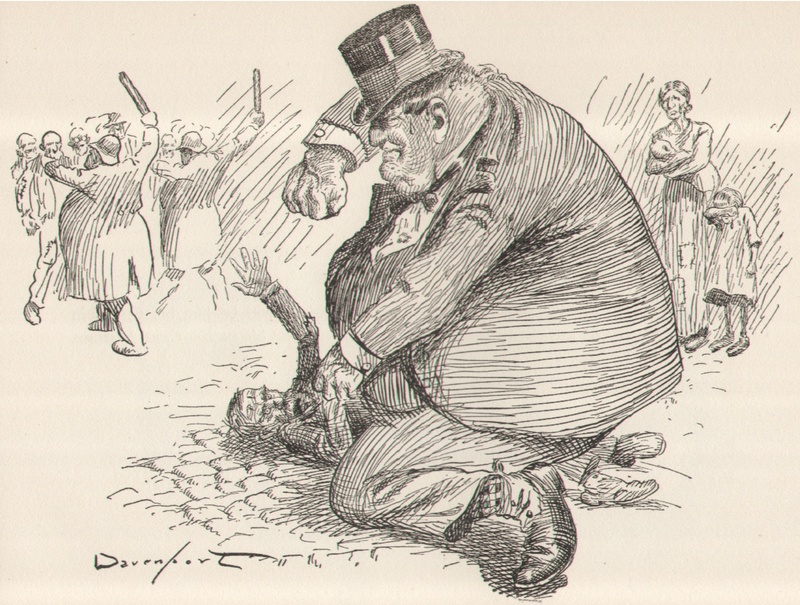 Hendricks, in turn, has become Walker’s most devoted private benefactor. The state’s wealthiest woman has contributed $529,000 to Walker directly, the vast bulk of it when Walker was able to exploit a loophole in the state’s recall legislation that enabled him to collect unlimited donations around the country for a short period of time while fighting off a recall effort. Hendricks’ largesse isn’t limited to Walker. 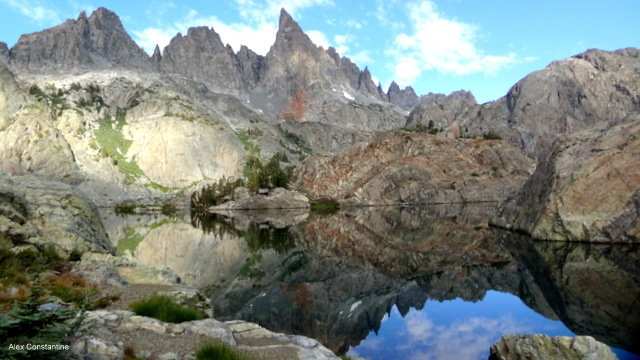 She’s a member of what’s dubbed the Koch brothers’ million dollar club, meaning that she’s forked over more than $1 million toward their various groups. More recently, she contributed $1 million to the Freedom Partners Action Fund, Charles and David Koch’s new Super PAC. In 2014, she gave $1 million to the state Republican Party, according to the Wisconsin Democracy Campaign. Throughout last week’s Senate committee hearing, state Sen. Chris Larson (D-Milwaukee) repeatedly questioned those who testified about their funding sources. The answer that repeatedly came from the bill’s supporters was the Milwaukee-based Bradley Foundation. The interesting thing about the Bradley Foundation, of course, is that as a tax-exempt foundation, it cannot contribute money directly to political entities. But its impact is felt on many political battles in the Wisconsin Legislature, including the right-to-work bill. With $830 million in assets at the end of 2013, the Bradley Foundation is one of the most formidable funders of right-wing efforts nationally and in Wisconsin. Over the years, its pet causes have included school vouchers, the Iraq war, the discredited “Bell Curve” research by Charles Murray and free market “solutions” to everything that ails us. At the same time the Bradley Foundation was doling out multimillions to right-wing think tanks and advocacy groups, it was also backing Scott Walker’s political career. The foundation’s longtime president and CEO is Michael Grebe, who just happens to be Walker’s campaign chair and political mentor. The Bradley Foundation’s influence has been felt in creating the right-wing support network that boosts Walker’s ultra-conservative agenda. Not only has it created the “intellectual” capital that fuels the rationale for policy items such as school vouchers and anti-union policies, but it’s helped to fight off the John Doe prosecutors who are looking into Walker’s campaign’s allegedly illegal connections to various “independent” special interests groups that were active in the 2011-2012 recalls. As detailed by the Center for Media and Democracy’s Brendan Fischer in a June 26, 2014, article in the Shepherd, the Bradley Foundation contributed an eye-watering $18 million to right-wing think tanks, media outlets, pundits and judges involved in the John Doe court battle on Walker’s behalf. That’s not all. In addition to contributing to groups that testified in person at the right-to-work hearing, the Bradley Foundation has poured millions into organizations that advocate for it. These groups include National Right to Work Legal Defense Fund ($439,000 from 2009-2013), MacIver Institute for Public Policy ($840,000 from 2009-2013) and Center for Union Facts ($1.3 million from 2009-2013). 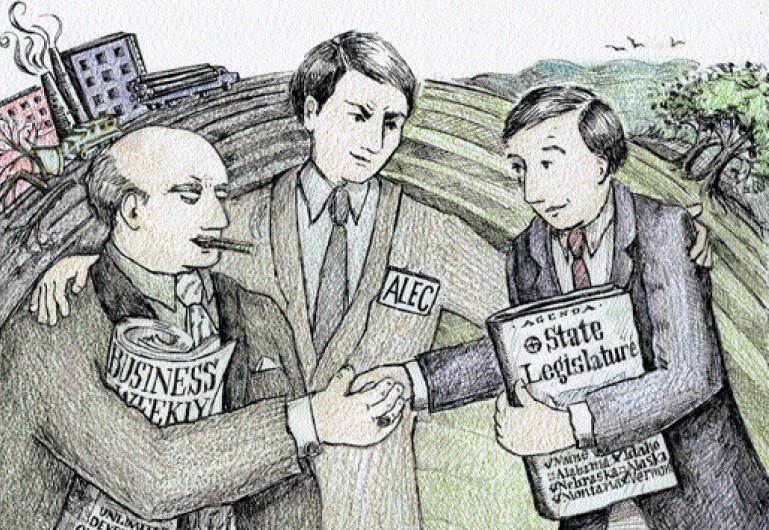 Not to be overlooked is the State Policy Network (SPN), the national ALEC- and Koch-sponsored group that’s spawned right-wing “think tanks”—including the MacIver Institute, WPRI and the Wisconsin Reporter—that push anti-union propaganda. The Bradley Foundation sent $135,000 to SPN between 2009 and 2013, according to its annual reports. Last but not least, the Bradley Foundation has been a huge supporter of the corporate bill-writing outfit American Legislative Exchange Council (ALEC), which, according to CMD’s Fischer, provided the model bill that will soon become law in Walker’s Wisconsin. 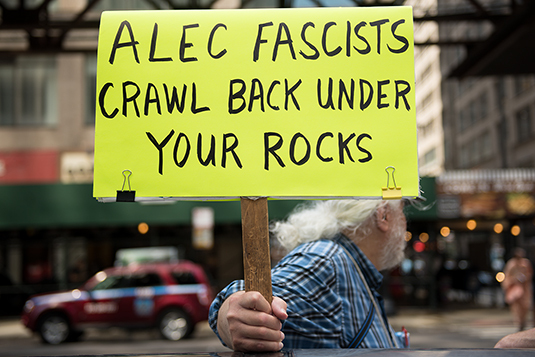 The Bradley Foundation sent $390,000 to ALEC between 2009 and 2013, at the same time that ALEC has been losing corporate sponsors in droves, as customers of these corporations decry their support for an entity like ALEC that writes legislation to advance virtually every right-wing cause in the country. Just 25 people registered in favor of right-to-work legislation in the state Senate last week, while 1,751 individuals registered against it. But despite being in the minority, those supporting right to work have a lot of money backing them.